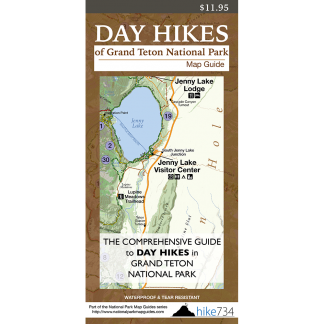 Explore a bit history of the early settlers on this short hike that gives you a great sense of the vastness of Jackson Hole with the amazing backdrop of the Tetons. Views in all directions abound as you walk the trail down to the old Cunningham Cabin. 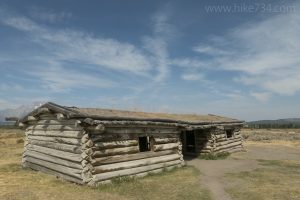 The story of the cabin is told through interpretive displays and is relived as you step inside this rustic log structure. The Tetons are effortlessly framed in the modest windows. A trail loops around the property that is laced with old irrigation ditches. Keep an eye out for a variety of birds in the meadows and surrounding shrubs as you complete the loop and head back up to your car. Trailhead: The signed turnout is on the west side of Hwy 191 approximately 5.4mi/8.7km south of Moran Junction. Follow the road to the end for the parking lot and trailhead near the historic building.